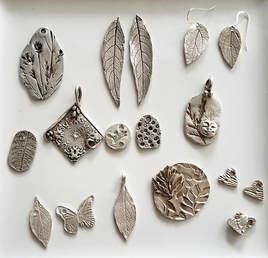 Discover Precious Metal Clay, a fine silver-infused compound clay that allows the student to mold, stamp, sculpt, and create their own silver jewelry designs. After burning off the clay, the student is left with a pure .999 silver creation. Students will be provided enough Precious Metal Clay to create a one of a kind set of earrings. All tools necessary will be available for use.